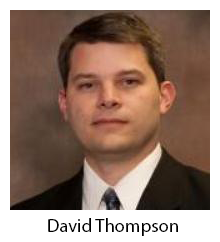 David Thompson is a lawyer with Thompson Law PC LLO in Lincoln. He is a member of Rotary #14 Club (Youth Exchange Committee), and an elder at the Heritage Presbyterian Church. He earned his BA in 1990 and JD in 1993, both from the University of Nebraska. His family includes his wife, Dawn, his daughter, Delia and son, Dexter. David enjoys history, travel and board games. Douglas M. Bartzatt took office on March 16, 2009, as the Department Head of Asset Management at the Irvine West Coast Temporary Satellite Office of the Federal Deposit Insurance Corporation. Mr. Bartzatt serves as Chairman of the FDIC's Credit Review Committee (CRC-1) and the National Agriculture Credit Review Committee (CRC-1 Agriculture) in Irvine, California. He is a voting member of the Asset Pooling Committee in Dallas, Texas, and the Credit Review Committee (CRC-2) in Irvine, California. 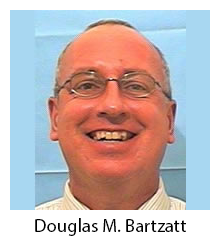 In 1986, Mr. Bartzatt joined the FDIC as an officer in the Division of Liquidation for the Federal Deposit Insurance Corporation satellite office in Omaha, Nebraska. When that office closed in 1988, he was hired by the corporation that purchased the remaining assets of the field site. The position involved managing loan portfolios consisting of commercial, agriculture and consumer credit by negotiating restructures, compromises, and initiating litigation through 2004, which the last six years he was President of the corporation. His work there also included purchasing assets from open banks, the FDIC, and the Resolution Trust Corporation. He is a graduate of the University of Nebraska-Lincoln where he received his bachelor's degree in Economics. 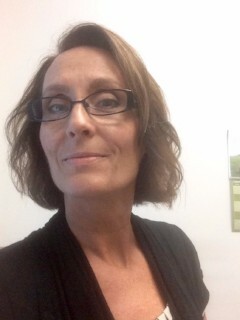 Kerin's real estate career has spanned nearly three decades here in Lincoln. Formerly, She has overseen the management of buildings owned by not for profit entities. Her current company is based in Eureka, CA and Baton Rouge, LA with assets in many markets. She owns two buildings downtown and oversees the leasing, management and construction management of over one-half million square feet. Her tenants draw from both public and private sectors. Outside of her work, She fosters for an animal rescue organization, volunteer at local events and enjoys an active lifestyle to include travel, reading, climbing and fishing. Sean Gewecke is the Vice-President of Finance and Chief Financial Officer of Back to the Bible in Lincoln. 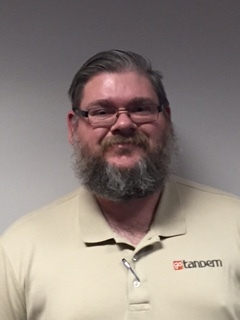 He earned his BA in Accounting in 2005 and his MA in Management in 2007, both from Doane College. His family includes his wife, Amy, and daughters, Olivia and Samantha. Sean spends much of his free time reading, competition shooting, and gaming.